Changes involving three teachers at Westberry Elementary School have taken place to start the new school year. (From left to right) Danine Calkins is teaching Grade 3 on a half-time basis, Kate Kelly is teaching Grade 4 full time, and Joanie McLay is teaching kindergarten every other day. 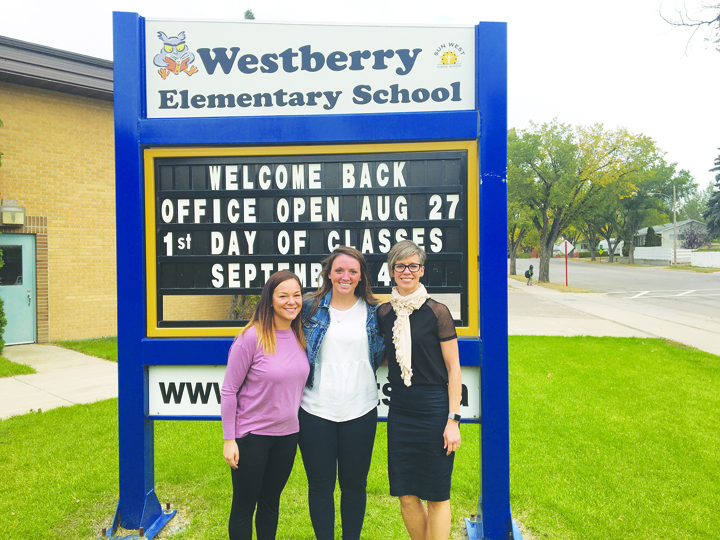 A new school year has commenced at the three schools in Kindersley, and staff changes at Westberry Elementary School involve teachers that all have experience. Principal Chris Oscar said the school is going into the new year with fewer staff and faculty members than the previous year, so there have been layoffs. The school has only three changes with respect to the teaching faculty.